Launching 9th June! Help to Buy available on selected units. New Park Road is a collection of finely appointed one bedroom, two bedroom, duplex apartments and a mews house in Brixton, South West London. 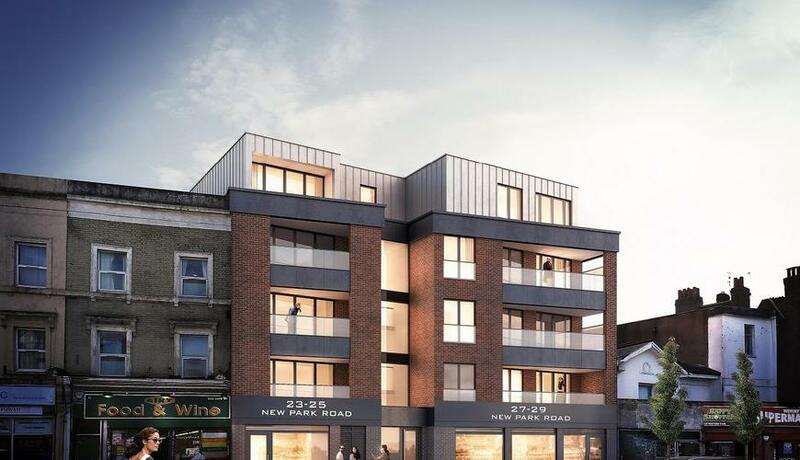 This luxury development offers home buyers the opportunity to take advantage of one of London's most dynamic boroughs.This luxury development in Brixton is a short distance from Central London, which offers the best of everything to a global audience. It is home to some of the world's most notable attractions, with numerous galleries and museums, an abundance of Michelin starred restaurants, first-class sports teams, world-famous shopping and globally respected education.New Park Road is situated in sought-after Brixton, one of the Capital's most lively and vibrant areas. It offers a wealth of diversity, both in amenities and the types of people living there. The trendy music scene at the 02 Academy and Effra Hall Tavern attract artists from all over the World. The culinary delights of Brixton Village and Atlantic Road are there to tantalise your taste buds. The shopping, entertainment and enterprise opportunities available at Pop Brixton make it a fabulous place to call home. Brixton's location provides residents with easy access to a number of other very desirable areas. Clapham's famous Common and High Street, leafy Dulwich Village with its first class golf course, Brockwell Lido and Balham's infamous comedy club are all within easy reach.